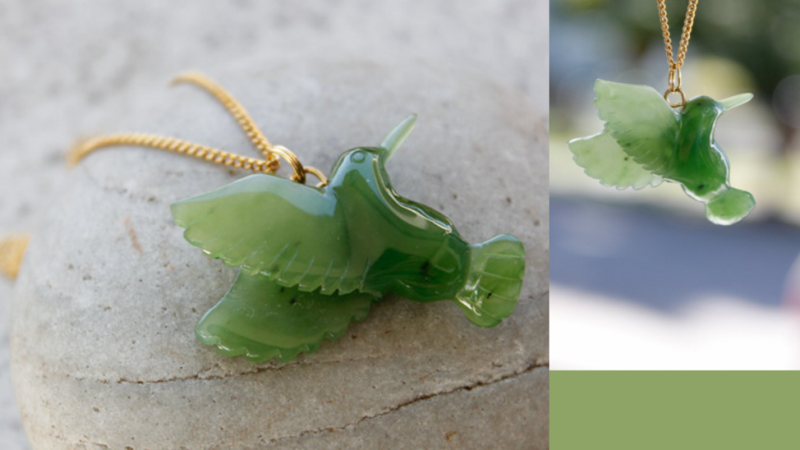 This hand carved jade hummingbird necklace is a beautiful hand made item that any lover of unique jewellery will love. 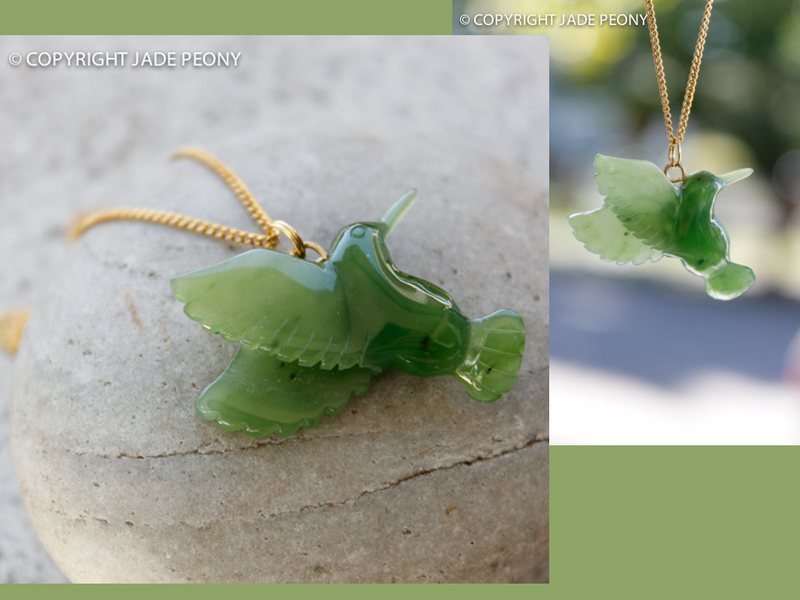 It is hand carved nephrite jade set in brass with gold plating. An excellent choice for any bird lover or fan of precious stones. This is definitely a must have item for anyone who collects jade jewelry because it is so unique. Hummingbirds are very small birds that are native to America. They feed on the nectar of flowers and they are interesting because of their colors and the way they move. Unlike most birds, hummingbirds are able to hover and they are also able to fly backwards. For those who believe in symbolism it is interesting to know that hummingbirds are said to symbolize enjoying life, being resilient and independence. It is said that if the hummingbird shows in your life as a spirit animal that you are being reminded to enjoy your life more. It is believed that the jade stone has healing properties and in addition encourages creativity. Some natural therapies use the jade stone because they believe it is able to treat organs such as kidneys and eliminate toxins. This is a lovely gift idea for someone who bone issues because it is believed that the stone can help with those issues. Almost anyone will enjoy receiving this as a gift because it is so beautiful and unique.